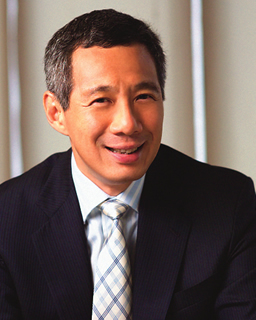 SINGAPORE: Prime Minister Lee Hsien Loong has urged Singaporeans not to allow family ties to weaken even as the Government strengthens social safety nets, as “strong families are the bedrock of society”. Highlighting some of the moves to help the less fortunate – such as MediShield Life, a reviewed CPF Life and expanded Workfare – Mr Lee said in his Chinese New Year message on Tuesday (Feb 17) that the Government is doing this to help families stay together, but not replace the role that families play. Mr Lee added that the Government is doing “all it can” to help people build strong families. The introduction of the Marriage and Parenthood package as well as more affordable childcare and pre-schools will support couples who have more children, while targeted housing grants are in place to make it easier for young couples to live close to their parents, encouraging three-generation families to stay close-knit, he said. “The Pioneer Generation Package, Silver Support and MediShield Life will lighten the burden on families taking care of elderly parents,” he added. He also urged Singaporeans to take care of one another, especially those who are vulnerable or less fortunate, to strengthen the “larger national family”. The Prime Minister also reminded Singaporeans that social policies and grants by themselves do not grow strong or happy families. “A family is not just about whom we are related to, but how we relate to each other,” said Mr Lee. “Therefore, let us make the effort to build strong families – to spend time with each other, nurture our children, respect and care for our elderly parents, and through our deeds help those in greater need. “On this most important festival in the lunar calendar, let us pause and remind ourselves of what truly matters in life, of what it means to belong to a family,” he said. Mr Lee ended by wishing Singaporeans a happy Chinese New Year. “I guess it happens to all of us,” said Bibi hasnah, 47, a housewife.